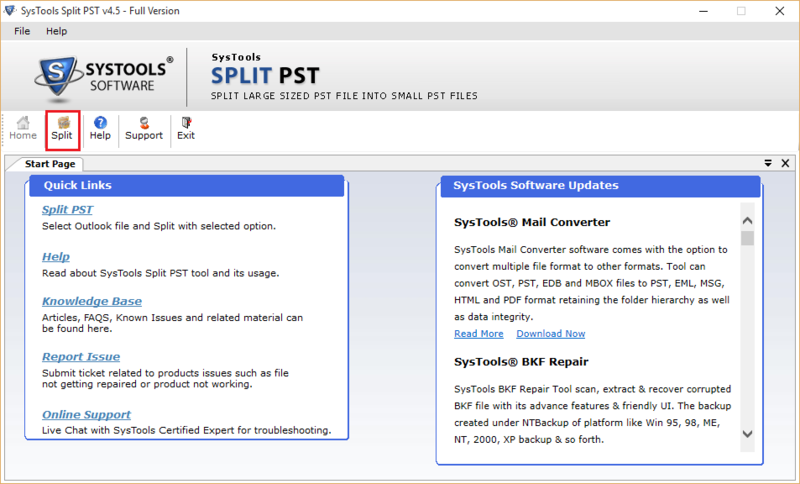 Our PST Split Tool offer users to take a quick look in online splitting process displayed via software screenshots facility. This facility gives you a preview of our software and then you will get an idea about how our software will appear on your system screen. Screenshots shows the work process of software and all information of selected PST file. Open Split PST. Go to Start menu » Programs » Split PST. 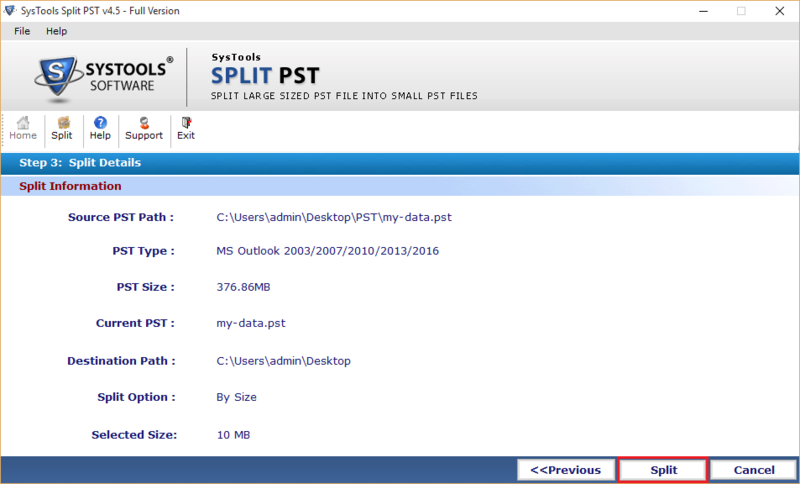 Then the option to split PST can be opted from the following: (Date/Size/Year/Folder). 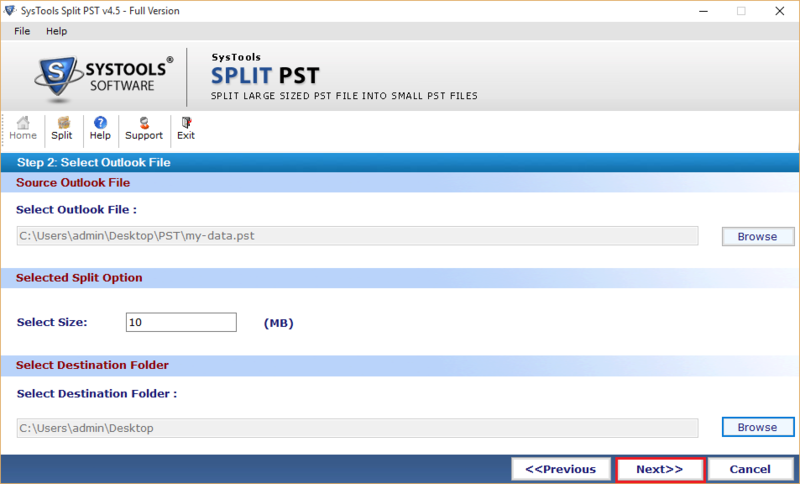 Clicking on browse will let you choose the desired PST file that has to be fragmented by the users into smaller parts. 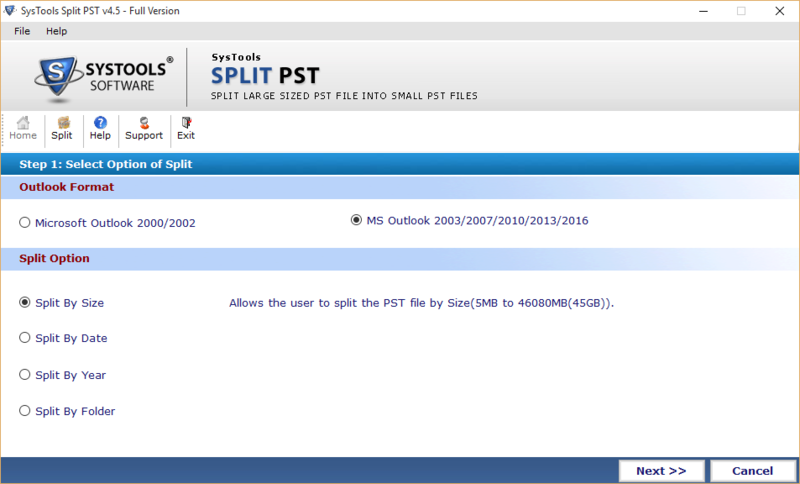 Click on "Split" to commence with the procedure to split Outlook PST with Split PST tool program.